With the new partnership, Tata Sky users will soon be able to access Netflix’s media library of movies, TV shows, documentaries and more. 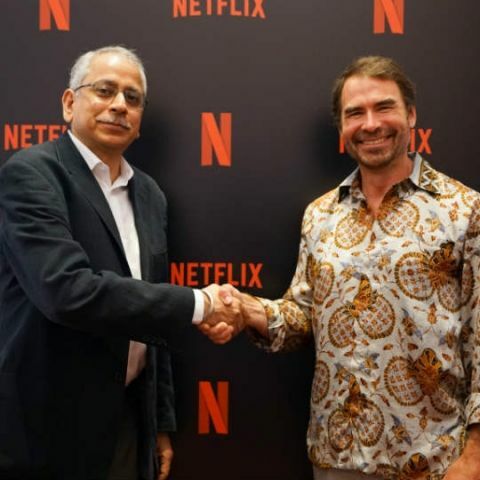 Tata Sky and Netflix have entered into a strategic partnership in India and both their customers will be able to have “easy access to a world of content through future Tata Sky platforms.” As per the press statement by the company, in the coming months, users on Tata Sky will get access to Netflix and will be able to browse its media library, which includes TV shows, documentaries, movies and more. This new move comes soon after Tata Sky announced curation of ad-free global media content, which can be accessed via the company’s mobile app and website as well. It’s not only Tata Sky who is competing for users in the OTT services space as Reliance Jio and Airtel are reportedly in talks with Netflix to offer its services for their respective users. It is speculated that Jio could launch the services on the JioTV app, whereas Airtel could introduce it via the Airtel TV app, which already offers a free Hotstar subscription to select users. Netflix and Vodafone already offer up to 1 year of free membership to the former's streaming platform for users on the telcos Red plans. It’s possible that Netflix wants to boost its subscriber base by entering into new partnerships with the aforementioned telcos and other OTT providers. As per a December 2017 Counterpoint Research report, Netflix is the fifth largest video streaming platform in India with 5 million monthly active subscribers and is behind services like Hotstar, Voot, Amazon Prime Video and Sony Liv. As per the usage numbers mentioned in the report, Hotstar is the most popular streaming platform in India with 75 million monthly active subscribers as recorded in December 2017.